Big Fish Games Founder and CEO Paul Thelen announced that Big Fish Unlimited, the cloud gaming service with 100+ Games streaming instantly to your personal computer, mobile device and internet connected TVs, went live Tuesday morning during his Keynote address at Casual Connect 2012 in Seattle. In addition to the cloud service going live, Paul Thelen also announced a new partnership with best-selling streaming device maker Roku, and detailed plans to bring Big Fish Unlimited to internet connected TVs in Q4 2012. Roku has historically outsold any other streaming player in the U.S., and through this partnership, Roku’s customers in the U.S. will be able to play Big Fish’s high-quality games on their connected TVs. 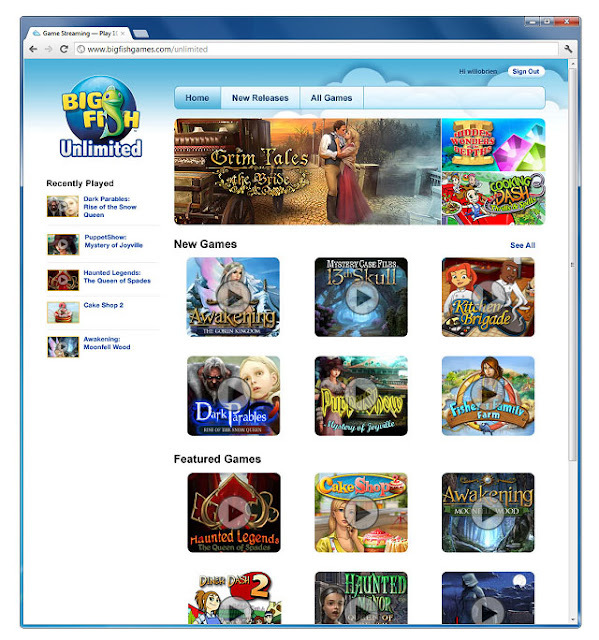 Big Fish Unlimited enables customers to play casual games that are running in the cloud and instantly accessible on a variety of connected devices via interactive streaming video. It's how OnLive works. Big Fish plans to rapidly expand this service by deploying additional content from its existing library of more than 2,500 PC games! Subscription access to the Big Fish Unlimited premium catalog is currently available for a $7.99 monthly fee. Big Fish Unlimited will also offer free access to a rotating catalog of up to 20 games supported by advertising. 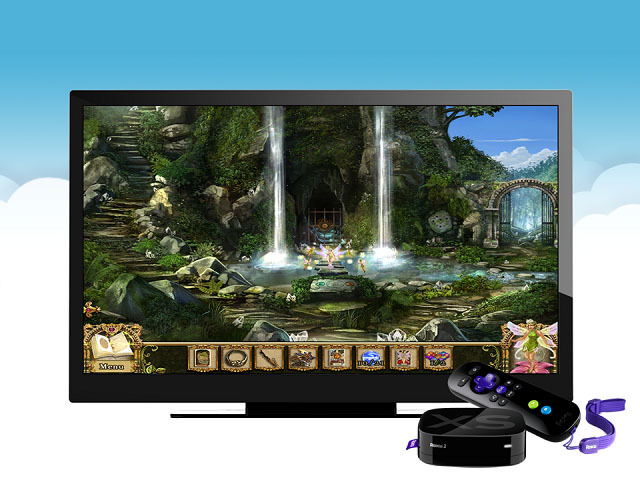 You can think of Big Fish’s cloud gaming service like the OnLive PlayPack, Netflix or Pandora, where you have one login that can access hundreds of hours of entertainment from anywhere, anytime. Big Fish currently offers games in 10 languages internationally and have plans to expand Big Fish Unlimited into new and emerging markets. Their cloud gaming technology is piracy-proof, enabling the company to connect its trusted casual games service with customers in traditionally underserved countries such as China and Korea. You can sign up for Big Fish Unlimited and see if you like it. Bannerizer made it easy for you to promote ClickBank products with banners, simply visit Bannerizer, and grab the banner codes for your picked ClickBank products or use the Universal ClickBank Banner Rotator Tool to promote all of the available ClickBank products.